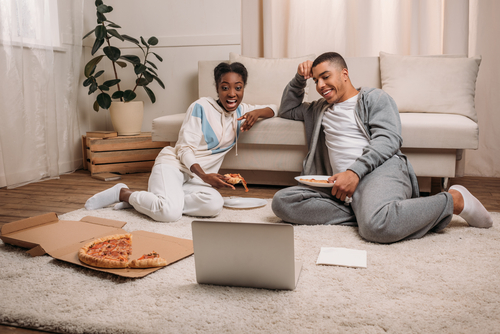 Once it gets cold outside, there’s nothing like some comforting eats delivered right to your Third and Valley apartment to take the chill outside of the January air. For foodies, this is actually a bit of a welcome change – there’s nothing like tasty comfort food such as pizza, pasta and more! Tito’s Burritos & Wings, located at 6 W S Orange Ave, South Orange which is a seven minute walk from your Third and Valley apartment, is a counter-service joint serving up simple Mexican chow in a setting with beach shack decor. Tito’s uses only the freshest ingredients in everything they prepare and every order is custom-made the way that you want it. It might take a few minutes longer, but they’ll make sure it’s worth the wait! Number One Chinese Restaurant, located at 319 S Orange Ave #1, South Orange which is a four minute drive from your Third and Valley apartment, is known for their Cantonese, Sichuan and Hunan classics at this 25-year-old time-tested counter-serve Chinese joint known for their talented chefs who are right from China. Come enjoy the delicious and fresh Chinese appetizers, soup, chow mein, lo mein, mei fun, chicken, beef and seafood. All their food is homemade using only the highest quality and freshest ingredients available.